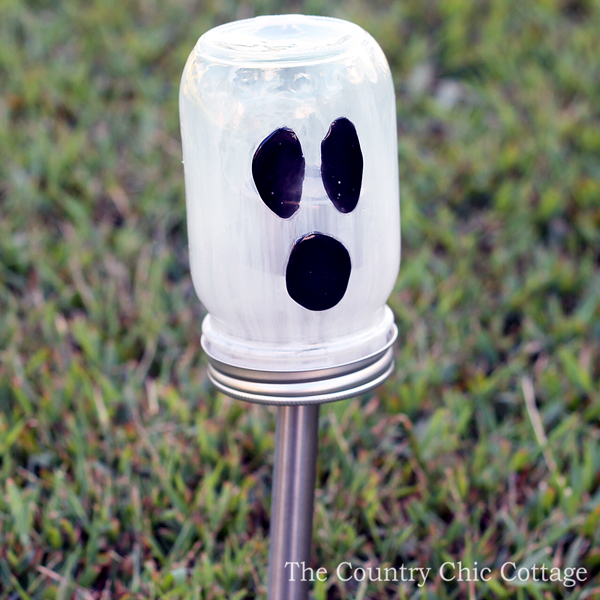 For this last day of Halloween mason jar week, I am sharing how to make these DIY ghost solar lights. These fun lights are the perfect thing to light the path on Halloween night. They are super simple to make as well! If you have missed any of the Halloween mason jar crafts this week, be sure to check out the posts from day 1, day 2, day 3, and day 4. You can also scroll to the bottom of this post and see today’s ideas from our partner blogs. But first here is the tutorial on how to make these DIY ghost solar lights. First you will need to modify the jar lid to accept your solar light. Trace around your solar light base then use a hammer with a pointed screw driver to go around that line. I usually go around both sides until the middle just falls out. CAUTION: The edges will be VERY sharp! Next we need to paint the pint jar. Clean the surface well with rubbing alcohol and allow to dry before painting. 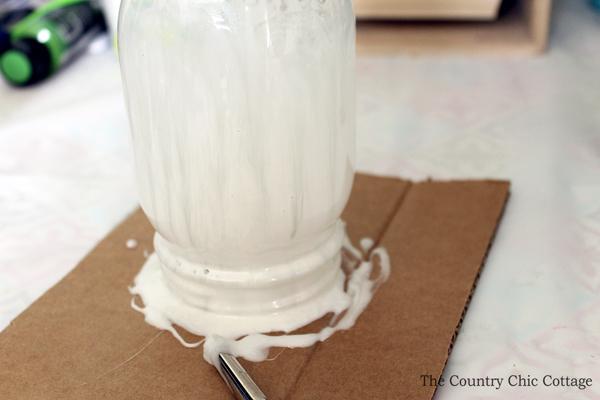 Use a paint brush to apply a coating of white glass stain to the entire jar. Allow to sit upside down so the excess will run off the bottom. Move to a clean piece of paper or cardboard once excess has ran down. Allow to dry completely before continuing. 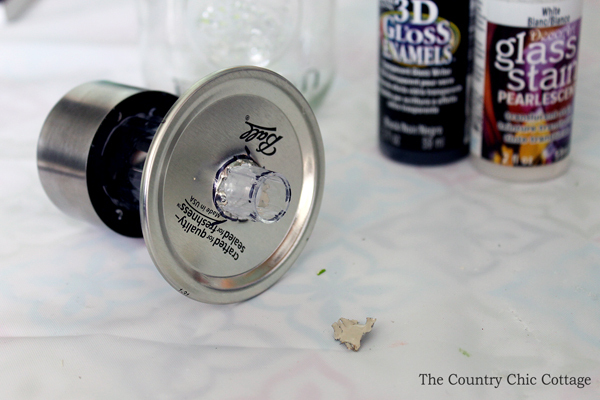 Lay jar DOWN FLAT and add the ghost eyes and nose with the black 3D writer. I found the paint ran too much when I sat the jar up as shown in the image below. Allow to dry completely. Bake your jar according to the package directions on the paint you used. This will ensure your paint is permanent and will not wash off in the rain. 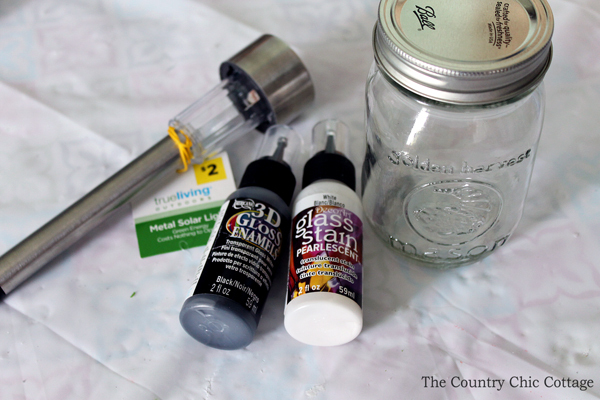 Assemble the jar onto the solar light and put outside. 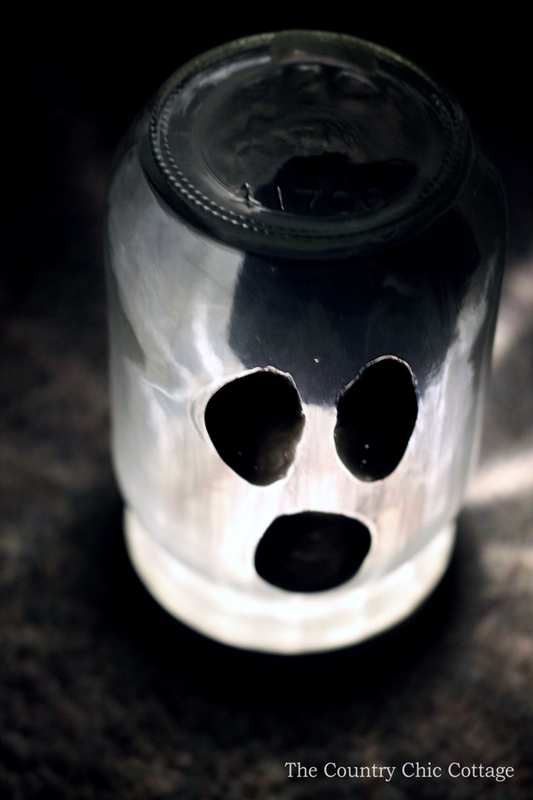 These DIY ghost solar lights will light up the night on Halloween. This fun project is perfect for outdoor Halloween decorating. I love a simple project that looks great! 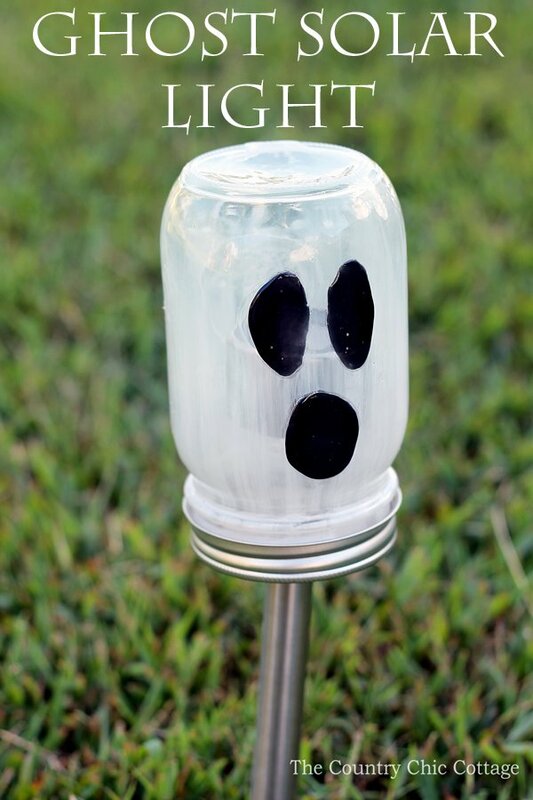 Y’all be sure to make some of these DIY ghost solar lights for your home this fall. 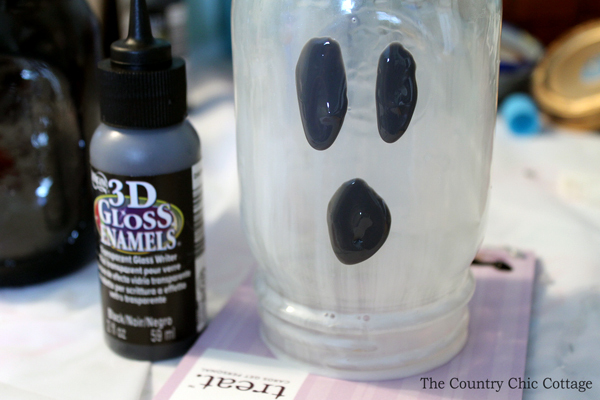 Now for even more fun Halloween mason jar crafts from our partner blogs for this series. Y’all just click below and enjoy! One of my faves all week – LOVE these!!! Pinned! What an adorable idea! I am pinning this to my halloween board! Stopping by from Treasure box Tuesday. Thanks for sharing 🙂 Have a great day!